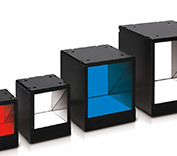 CCS FASTUS sensing lighting, CCS Inc. 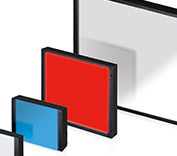 Realizes unprecedented functionality through our unique technical development capacity. 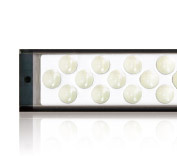 Realizes visualization and predictive maintenance of lighting through monitoring its brightness and temperature. 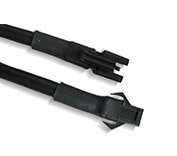 Optimal mass-production design makes highquality products available at low cost. 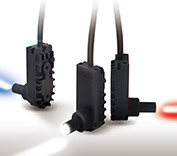 SolutionCurrent correction circuit corrects LED forward current variations to achieve uniform brightness. 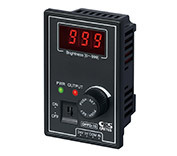 SolutionTemperature compensation circuit corrects brightness fluctuation due to rising temperatures after lighting comes on and ambient temperature changes. 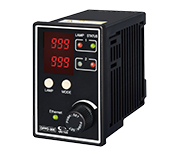 SolutionLuminance monitor function allows numerical brightness control, with upper/lower limit settings enabling alarm output. 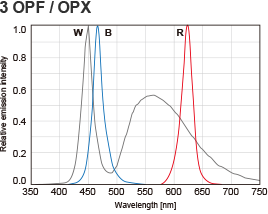 SolutionAbsolute luminance values based on factory default data can be used as indices to enable uniform brightness across lighting. SolutionBrightness is automatically adjusted to maintain initial settings. What are FALUX and FALUX sensing? CCS FASTUS LED lighting is equipped with a proprietary technology designed to maintain brightness automatically over long periods by detecting the temperature and brightness of the lighting. Because variations in forward voltage of individual LED can affect the brightness of the LED, the forward voltage must be aligned through sorting or some other means. 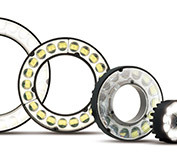 When LED lighting is turned on, the LED itself generates heat, causing temperature to rise. As the internal or ambient temperature rises, the brightness decreases. 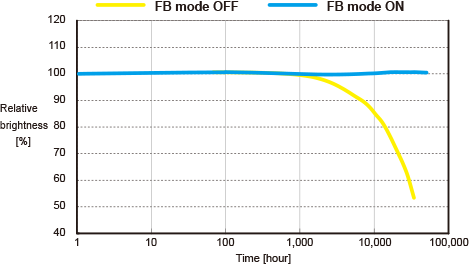 After 40,000 hours of use, the brightness of LED lighting drops by 50%. This means that brightness must be adjusted when used for long periods. Using the constant current circuit dependent on the input voltage, variations in the forward current of individual LEDs are corrected for uniform brightness. Meanwhile, the temperature compensation circuit compensates for fluctuations in brightness due to increases in temperature after lighting or changes in the ambient temperature. In order to reduce LED forward voltage variations, the LEDs needed to be sorted according to their Vf measurement. Moreover, illumination efficiency dropped as the temperature increased, reducing the brightness. 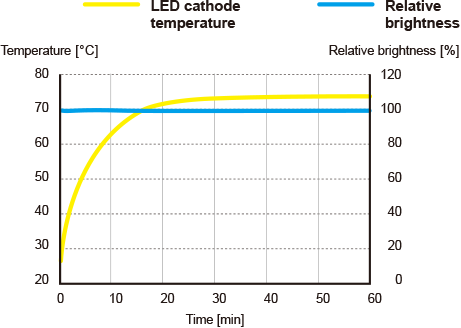 The brightness of each LED is fixed, virtually eliminating variations in brightness following increases in temperature. 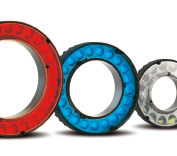 Whether with continuous illumination or ON/OFF control, brightness remains fixed. 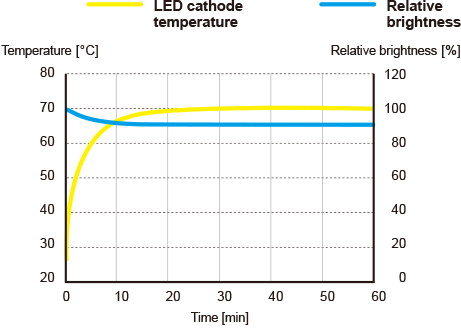 LED brightness sensing is performed using multiple built-in photodiodes. This allows for accurate measurement of LED brightness not only during continuous illumination but also with short period illumination. Absolute brightness is stored in the lighting’s internal memory to allow for instrumental error adjustment. 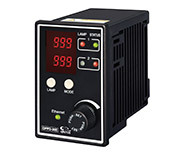 “FALUX sensing” also makes it possible to measure both the LED brightness of lighting and the internal temperature, and then to monitor those measurements on the power supply side. 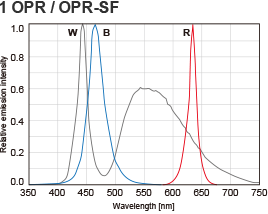 Based on the monitored values, feedback control can also be performed from the OPPF Series controller, making it possible to maintain the factory default brightness for around 40,000 hours. 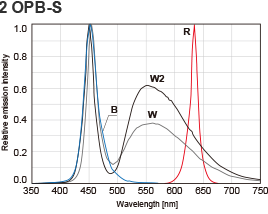 The lamp emission spectrum distributions for each LED lighting series are displayed here. 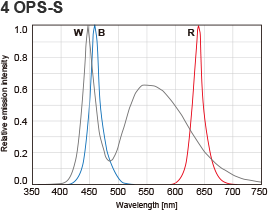 The horizontal axis is the wavelength (nm), and the vertical axis is the relative emission intensity. Data is for reference purposes. Please note that actual products will vary slightly. Attention: Not to be Used for Personnel Protection. Never use these products as sensing devices for personnel protection. Doing so could lead to serious injury or death. These sensors do not include the self-checking redundant circuitry necessary to allow their use in personnel safety applications. 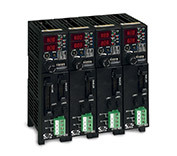 A sensor failure or malfunction can cause either an energized or de-energized sensor output condition. Please consult our distributors about safety products which meet OSHA, ANSI and IEC standards for personnel protection. Specifications and technical information not mentioned here are written in Instruction Manual. All the warnings and cautions to know prior to use are given in Instruction Manual.